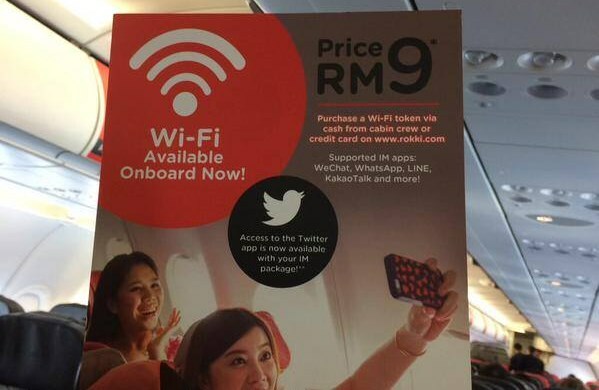 Launched back in November last year, RoKKi Chats in-flight Wi-Fi service has enabled passengers in selected AirAsia flight to use a selected number of online instant messaging service while being up in the air. Developed by a fellow Tune Group company called Tune Box, RoKKi Chats is now able to support yet another popular application: Twitter. Prior to Twitter, RoKKi Chats is already able to support WeChat, WhatsApp, KakaoTalk, and LINE. 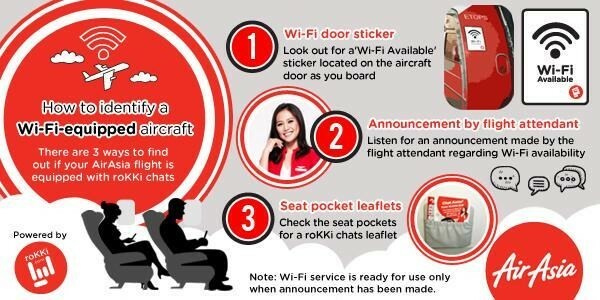 For those who are not familiar with the service, passengers need to obtain RoKKi Chats access token from the cabin crew or through their mobile devices (for credit card payment) before they are able to use the service. Priced at RM 9, the service comes with 3MB data quota in which users connection speed will be throttled once they hit that limit. AirAsia aircraft that are equipped with RoKKi Chats can be identified through indicators listed above. To learn more about the service, head on to fb.com/rokkican.